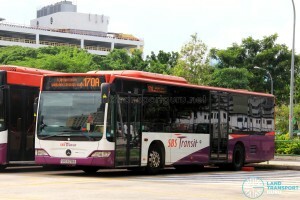 SBS Transit Bus Service 170 is a cross-border service plying between Queen Street Terminal and Larkin Terminal in Johor Bahru, passing through Rochor, Bukit Timah, Upper Bukit Timah, Woodlands Road, Woodlands CIQ, Sultan Iskandar CIQ, and Jalan Tun Abdul Razak. 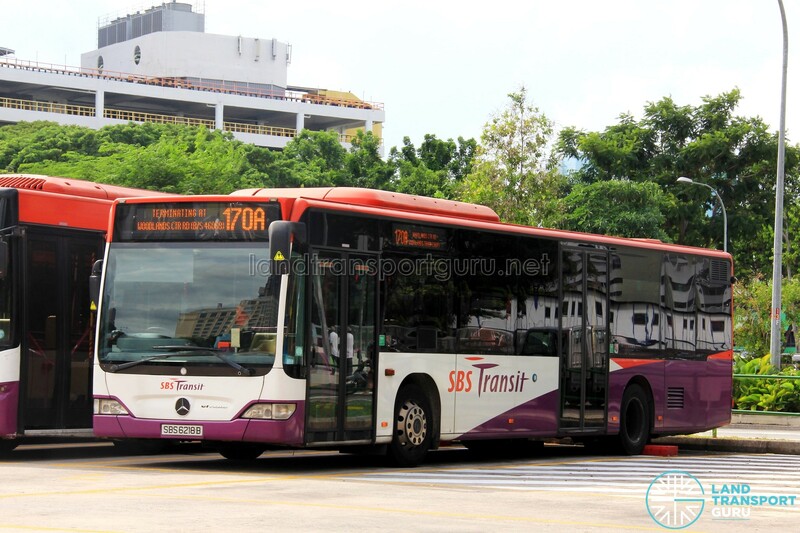 Sometimes referred to as 170 (Red Plate) to distinguish it from its route variant Service 170X, this is the only bidirectional route to have its bus terminals at either end serving only one local franchised bus route. A route variant Service 170A is also operated, duplicating the local sectors of this route. 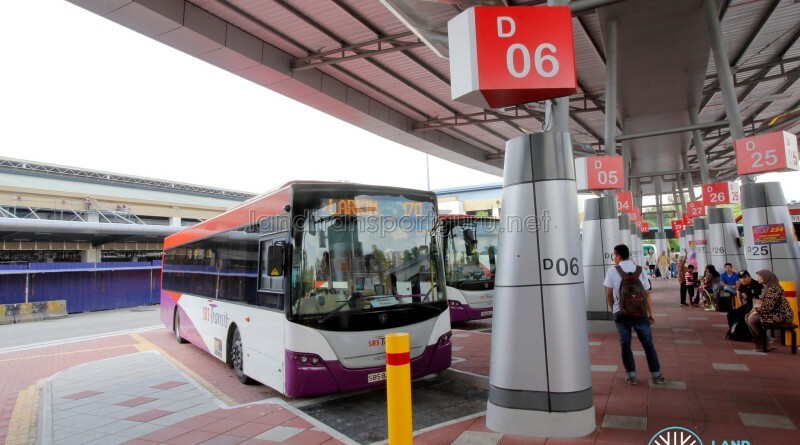 Commuters along Woodlands Centre Road should check the bus destination and service number plate displayed on the front of the bus as buses from both directions will call at the same stops. WHITE plated Service 170 buses are bound for Queen Street. Service 170 is a cross-border route connecting Rochor, Bukit Timah, Kranji and Woodlands Centre to Larkin Terminal in Johor Bahru. The route has remained largely unchanged since the 1920s, connecting the Singapore City Centre with the Bukit Timah regions and on to Johor Bahru. A parallel bus service 170A plies between Queen St and Woodlands Centre Rd, enhancing Service 170’s local sectors. Due to varying traffic conditions at the Causeway, travel times and waiting times may increase significantly when jams occur. This bus service occasionally diverts via Woodlands Ave 3 / Woodlands Centre Road towards Johor Bahru when Woodlands Road is severely congested. This route also plies Woodlands Centre Road in both directions. Passengers boarding Service 170 from 46069 W’lands Train Checkpt or 46088 Opp Blk 1A should check the destination clearly before boarding. Low-entry Scania K230UBs were added to the fleet in March 2014. These are SBS Transit’s first wheelchair-accessible buses to enter cross-border service. At each checkpoint, passengers have to alight and clear customs before boarding the bus again. 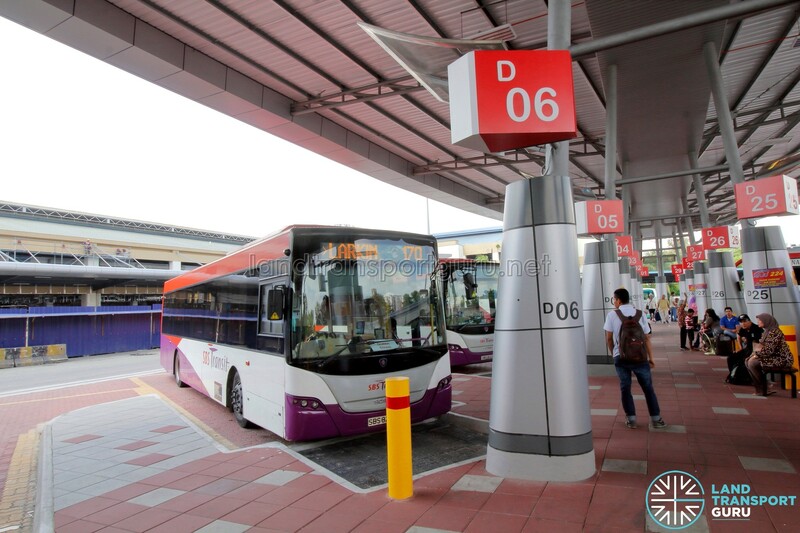 When crossing the causeway between Woodlands Checkpoint and Johore Bahru Checkpoint in either direction, commuters may board any SBS Transit bus (either 160, 170 or 170X). However, when leaving from a checkpoint, commuters must re-board Service 170 after clearing customs if they wish to continue their journey and not constitute a transfer. Fleet: Service 170′s fleet comprises a full fleet of JB-registered Scania K230UBs. Mercedes-Benz Citaro buses are crossovers from Service 170A and perform the return trip from Woodlands Centre Road to Queen Street Terminal as Service 170, and do not cross the border. Currently, only some Scania K230UBs are SPAD-registered. In accordance with Malaysian regulations, buses must carry relevant documents, be fitted with a third brake light at the rear, and attached with Malaysian stickers dictating the legal speed limit. Mercedes-Benz Citaros are commonly deployed on Service 170A and subsequently perform special departures back down to Queen Street Terminal from Woodlands Centre Rd. These buses do not require registration with the Malaysian authorities as they do not cross the border into Malaysia. Waited for one hour for 170 but none appear at NUS bus stop. The Larkin Terminal has shifted Bus Service 170 to Platform B06, back to its original place after the upgrading. Now got SPAD Citaros doing 170 also,Next will be 160 & 950. 950 is not at the same line we queue. Saturday morning is a peak hours. Terrible service.